Every DM needs to spice up their campaign every now and then. 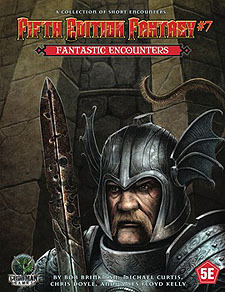 This adventure module includes 12 short encounters that can be dropped into any 5E campaign. The encounters range from level 1 all the way up to level 6. Each encounter has a unique angle that is sure to challenge players - with new creatures and challenging designs to round out the mix. Keep your campaign interesting with these fantastic encounters.